Denver native Michael Hancock was elected Mayor of Denver in 2011 and re-elected to a second term in 2015. He previously served as a Denver City Councilor, including two terms as Council President. As Mayor, Hancock has worked to streamline city government, promote job growth and improve downtown Denver. His development efforts are expected to generate 30,000 jobs over the next 20 years. 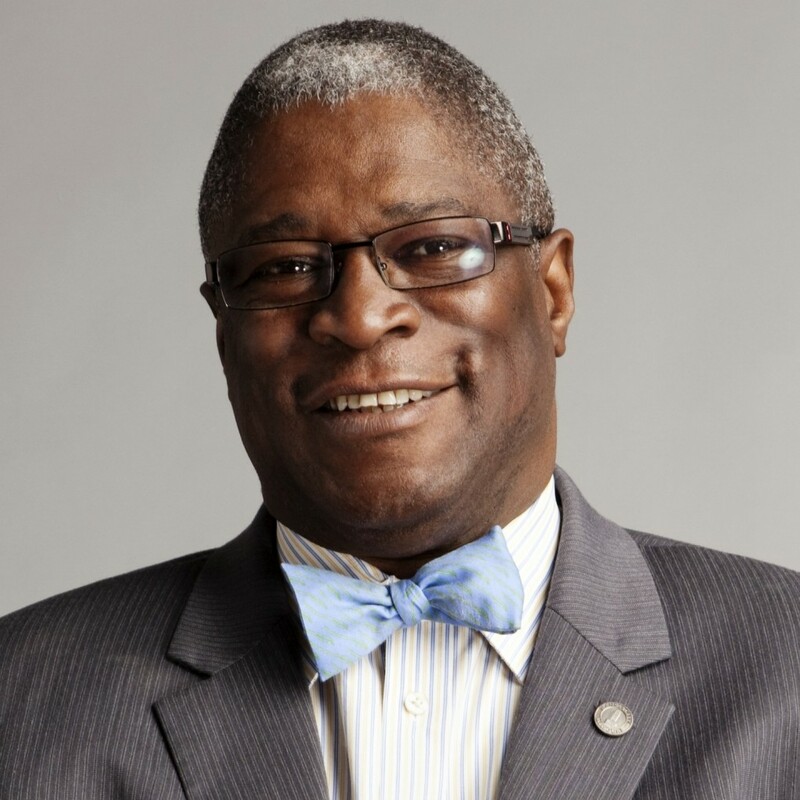 Sly James has served as Mayor of Kansas City since 2011. Mayor James enjoyed a successful legal career prior to his election and developed a record of success as a coalition builder and advocate. As Mayor, he focuses his efforts on four core areas: Education, Employment, Efficiency, and Enforcement. Born and raised in Kansas City by hardworking parents, his childhood laid the foundation for his commitment to ensuring quality education for all children, regardless of their background. Nan Whaley was sworn in as Mayor of Dayton in 2014. She was unopposed in her 2017 re-election. She previously served two terms on the Dayton City Commission, and became the youngest woman ever chosen for a commission seat in 2005. Dedicated to promoting manufacturing in Dayton, Mayor Whaley founded the Manufacturing Task Force, a regional effort to support a strong manufacturing workforce. She is also committed to making Dayton friendlier for pedestrians and cyclists. An Indiana native, Mayor Whaley attended the University of Dayton and has lived in the city ever since. Los Angeles native Eric Garcetti was elected Mayor in 2013 and re-elected in 2017. He previously served three terms on the Los Angeles City Council. He served as President of the City Council from 2006 until 2012. Prior to his political career, Mayor Garcetti taught classes on International Affairs and Diplomacy at the University of Southern California and Occidental College. Accomplishments from Mayor Garcetti's first term include raising the minimum wage, passing a bold transportation plan and developing initiatives to house the city's homeless population. Mayor Pete Buttigieg has served as Mayor of his hometown South Bend since January 2012. A Rhodes Scholar, Mayor Pete served as an officer in the U.S Navy Reserve from 2009-2017 and took a 7-month leave of absence from the City in 2014 to serve in Afghanistan. During his first term, Mayor introduced the 1000 in 1000 Days initiative, which demolished or repaired abandoned homes throughout South Bend. His ongoing "Smart Streets" Initiative has helped make downtown South Bend safer and more appealing. He is a past President of the Indiana Urban Mayors Caucus and serves on the board of the Truman National Security Project. Mayor Muriel Bowser serves as Washington, D.C.’s seventh elected Mayor. She previously served as the Ward 4 Councilmember of the D.C. Council. Inaugurated as Mayor in January 2015, she pledged to bring a fresh start to the District of Columbia, create pathways to the middle class for residents, and foster a culture of inclusion, transparency and action. She is committed to making sure every Washingtonian gets a fair shot, including its most vulnerable residents. Mayor Bowser has focused on jobs, affordable housing, addressing homelessness, equity, and more. First elected in 2004, Christopher Cabaldon is currently serving his fourth term as Mayor of West Sacramento, making him the longest-serving Mayor in the city's history. He is also the first Mayor of West Sacramento to be directly elected by voters. Before becoming Mayor, Mayor Cabaldon served on the West Sacramento City Council and was Vice Chancellor of the California Community College System. Under his leadership, the city has seen a significant drop in crime and received recognitions for environmental sustainability. Mayor Steve Adler was sworn into office in January 2015. He is Austin's 52nd Mayor and the first to serve under the city's new 10-ONE Council System. Mayor Adler practiced law in the areas of eminent domain and civil rights law in Austin for 35 years. As Mayor, he has focused primarily on finding solutions to two of the city's main challenges: affordability and traffic. He is also a champion for equity and the immigrant and refugee communities.